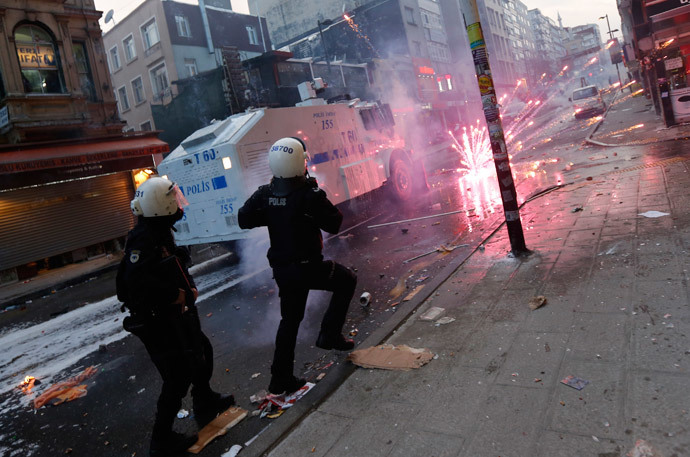 A protester has been killed in violent clashes with police in Turkey. 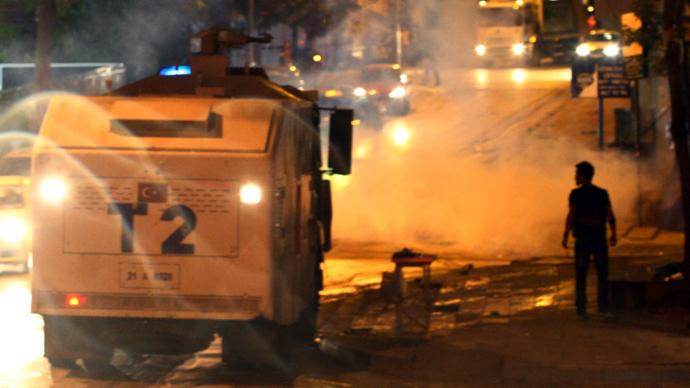 The country is witnessing a wave of unrest following the death of a 15-year-old who was shot by a tear-gas canister by police last summer and died in hospital after 269 days in a coma. 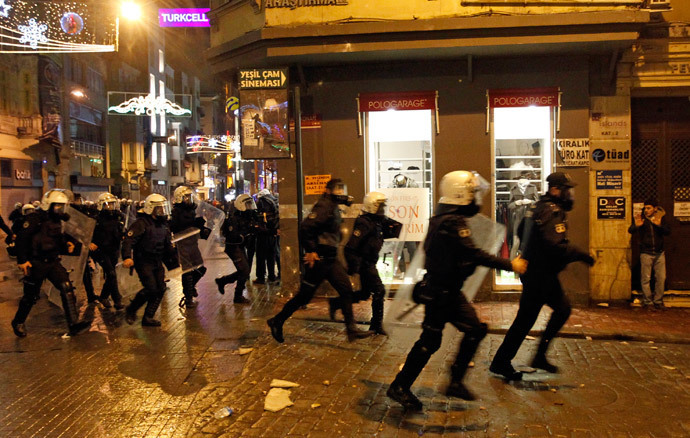 One protester in Istanbul died of a head injury after police cracked down on a crowd allegedly attacking police on Wednesday evening. 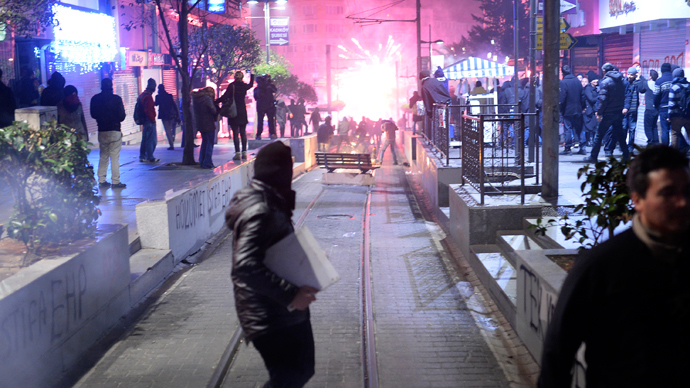 “There were two groups attacking the police and one youth suffered a head injury ... and lost his life,” Aziz Babuscu, the ruling AK Party's Istanbul provincial head, told CNN Turk TV. 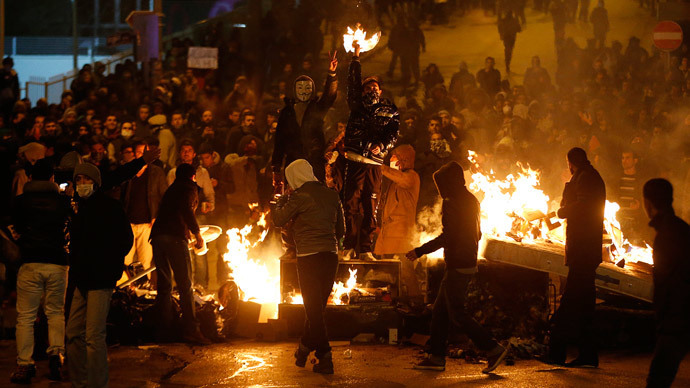 Turkey is gripped by unrest following the death of 15-year old Berkin Elvan who was injured in anti-government protests last summer. 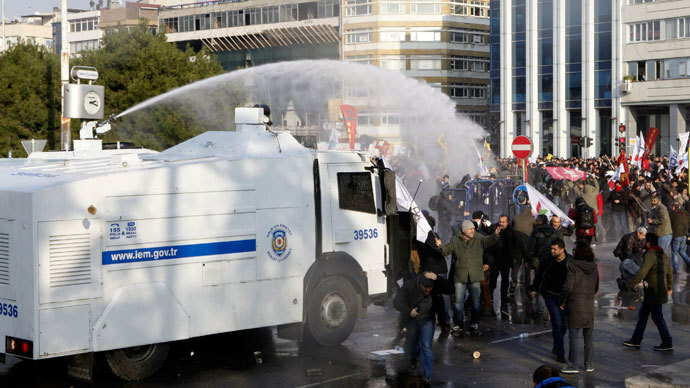 Police deployed water cannons to block the crowd from marching to the central Taksim square. Tear gas and rubber bullets were shot to disperse the people while police in riot gear chased scattered protesters into the side streets. 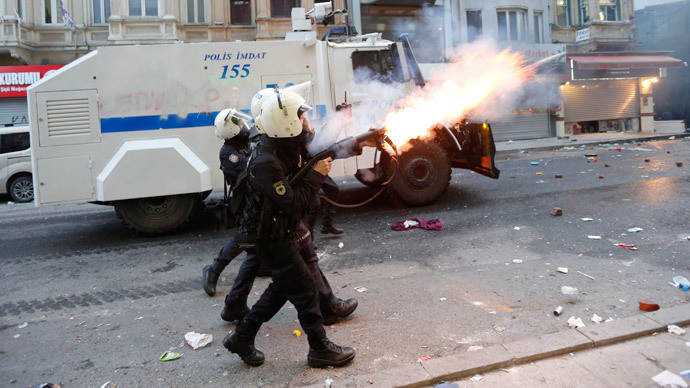 On Wednesday, police also clashed with demonstrators in several other Turkish cities as protesters flooded the streets in acts of civil disobedience across the country. 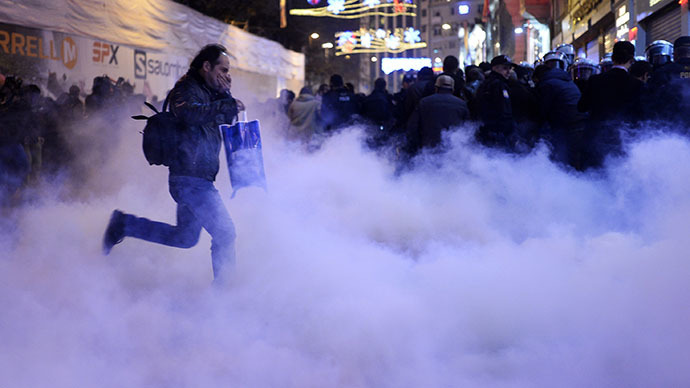 More demonstrations are planned to ratchet up pressure on Prime Minister Erdogan in the run up to the March 30 election. 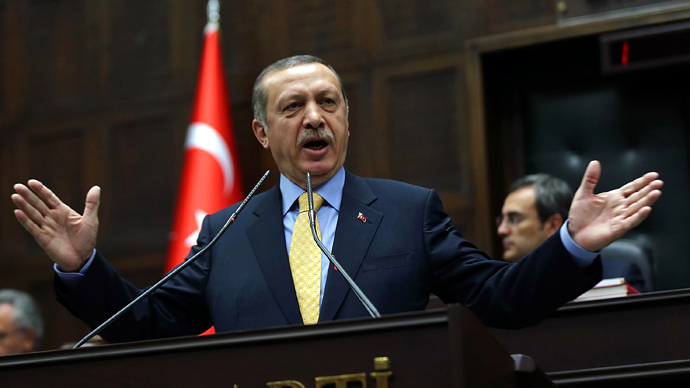 Erdogan, who has remained silent on Elvan's death, said that holding massive streets protests 18 days before elections was against the spirit of democracy. 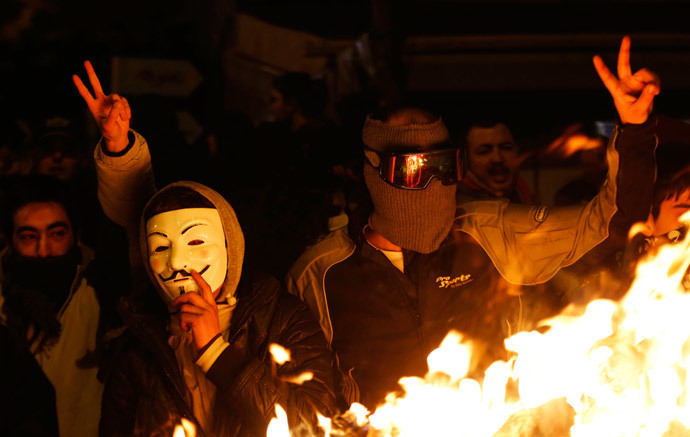 “Does democracy come with Molotov cocktails?,” Erdogan told throngs of cheering supporters at a campaign rally in the southeastern city of Siirt, as cited by Reuters. “The path of democracy is the ballot box. If you have the power, go to the ballot box,” he said.